When you connect to the Internet, you are assigned an IP address (a unique and special numeric number) by your Internet Service Provider (ISP). When you surf the web, view emails or download anything from the Internet, your activity can be tracked with your IP address. An IP address can be used to locate a person, and trace their Internet activity. To surf anonymously and protect your privacy, you'll need to hide your real IP address. Hide your IP address with a VPN. When you connect with HideAway, your computer receives a new IP address. 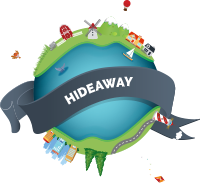 All traffic from your computer routes through the HideAway's server network, so the true IP address assigned by your ISP is hidden and all traffic is encrypted so your activity remains hidden. Aside from hiding your IP address, using HideAway allows you to access any other network even if your local connection is geo-restricted. HideAway helps you get on the Internet with a different IP address than the one provided by your ISP. You may have your very own reasons for hiding your IP address, but here are a few popular reasons why people want to hide their public IP address. Hide your identity from your competitors - You may be commenting on your or competitor's products on various forums, and using your IP address will reveal your identity. Hide your geographical location - Certain networks prevent users from a specific geographical location, and use of different IP address will circumvent this problem. Prevent Website Tracking - Every website or webpage you visited is tracked by the server hosted by the website owner. By hiding your IP address, your web visits cannot be tracked. When surfing the Internet with your assigned IP address, your private and sensitive information can be monitored. 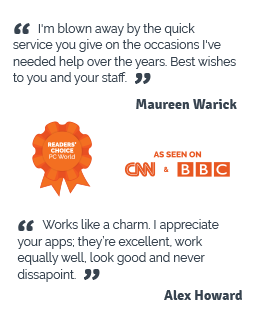 Your location, your ISP and your privacy or security can be breached. There are many criminals and companies monitoring users on the Internet, and you need to protect your identity by hiding your IP address through HideAway instead.